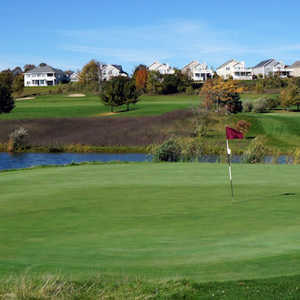 The 18-hole The Bear Course at The Grand Traverse Resort & Spa in Acme, MI is a resort golf course that opened in 1985. Designed by Jack Nicklaus, The Bear Course at The Grand Traverse Resort & Spa measures 7078 yards from the longest tees and has a slope rating of 150 and a 76. 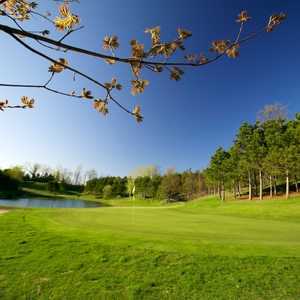 The 18-hole The Spruce Run Course at The Grand Traverse Resort & Spa in Acme, MI is a resort golf course that opened in 1979. Designed by Bill Newcomb, The Spruce Run Course at The Grand Traverse Resort & Spa measures 6204 yards from the longest tees and has a slope rating of 136 and a 71. The 18-hole The Wolverine Course at The Grand Traverse Resort & Spa in Acme, MI is a resort golf course that opened in 1999. Designed by Gary Player, The Wolverine Course at The Grand Traverse Resort & Spa measures 7045 yards from the longest tees and has a slope rating of 140 and a 74.